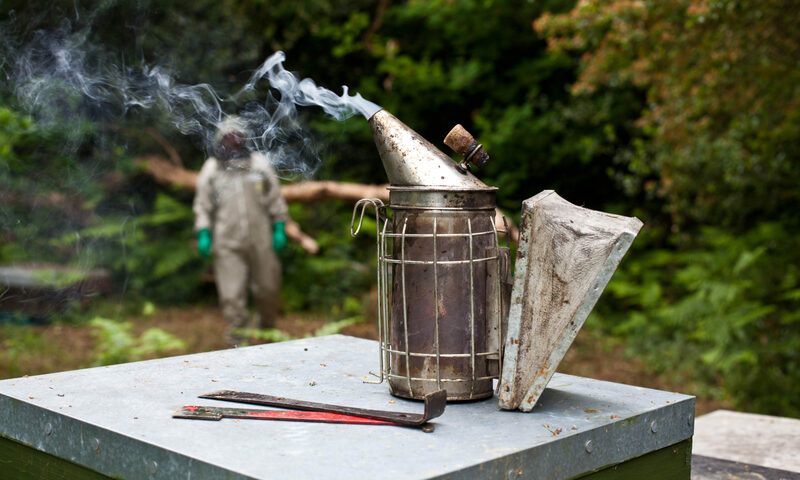 Most beekeepers are willing to collect swarms of honeybees, and generally help members of the public worried about swarms arriving in their gardens or worse, on their property. Many Beekeeppers lead a busy life and would appreciate a cursory investigation into whether a “swarm problem” is actually a swarm of honeybees. Wasps, solitary bees, and bumble bees may all appear frightening, but they all are quite harmless creatures if left alone. Most bumble bees are endangered, and all species of bumble bees are protected by law. Swarming is a fascinating, but perfectly natural phenomenon of the reproduction of honeybees. The whole colony of bees must be regarded as one super-organism rather than each individual bee. Individual honeybees are not able to survive on their own. So when a colony of honeybees swarms, it is effectively the animal reproducing. 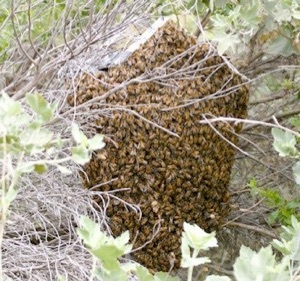 Though some people may fear, or be alarmed by a new swarm of honeybees, there is no real need to be. Fresh swarms and swarming bees are not aggressive. It is perfectly safe to walk in the middle of a noisy flying swarm. A new swarm has no home, no hive, or no nest to defend. So is usually quite safe and relatively harmless at this stage.